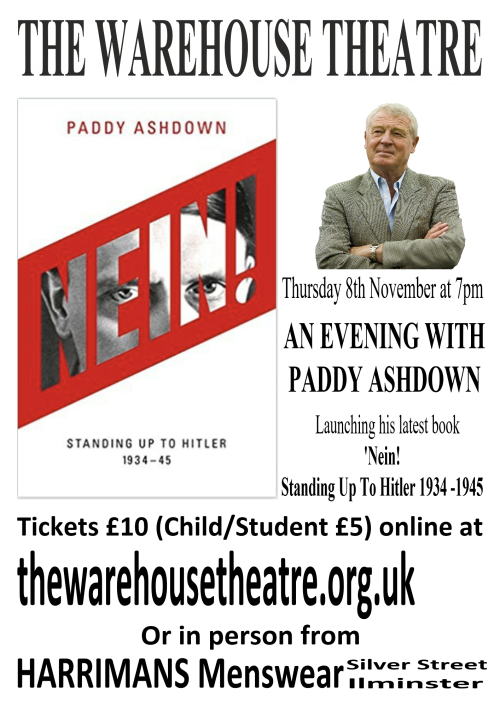 The Warehouse is delighted to welcome Lord Ashdown to launch his latest book, ‘NEIN! 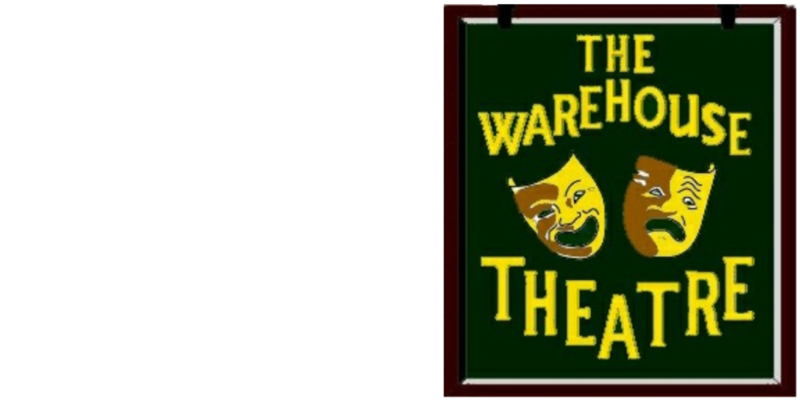 Standing up to Hitler 1934 – 1945’ in aid of the theatre’s Expansion Appeal. Known here in Ilminster as ‘Paddy’, he was our Member of Parliament from 1983 to 2001 and Leader of the Liberal Democrats from 1988 to 1999. Previously Paddy served as a Royal Marine and Special Boat Service officer, an intelligence officer in the UK security services and as International High Representative for Bosnia and Hertzegovinia. Happy to be described as a polyglot, Paddy is fluent in several languages including Mandarin. With such a background it would appear an almost natural progression that Paddy should re-invent himself as a writer. He has earned international recognition for his work and now we can look forward to this latest book which is a revelatory new history of German opposition to Hitler.